Russia to Begin Assembly of Antonov An-140 Cargo Planes in 2017. “We are working design changes at present. The first plane for the customer - the Russian Defense Ministry – should be delivered in 2017,” said Alexei Gusev, general director of Aviakor. Samara-based Aviakor signed in March an agreement with Ukraine’s Antonov design bureau on the transfer of intellectual property rights for the future An-140S and An-140T cargo aircraft. The An-140S is a version of the An-140-100 passenger plane with a large loading/unloading hatch, while the An-140T is a version equipped with a ramp. 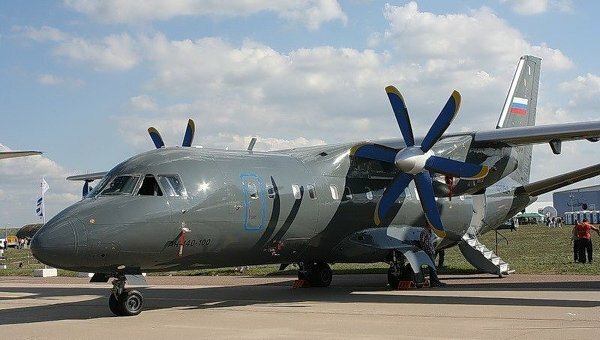 The transfer of intellectual rights enables the Russian Defense Ministry to buy the An-140 from a Russian company, rather than from the Ukrainians. Meanwhile, the Ilyushin aircraft maker earlier announced plans to build over 60 Il-112V light transport planes for the Russian military, with first deliveries also scheduled for 2017. The announcements indicate that the Russian military has apparently chosen both the An-140 and the Il-112 as the replacement for its aging fleet of about 300 An-26 and An-24 cargo planes.